John suggests that putting an end to that policy is a “no-brainer.” He defends his opinion by first whacking the biggest Republican critic of the policy he can think of (John McCain) and then moves into the everyone-else-is-doing-it ruse for further confirmation. John’s suggestion that Senator McCain’s “manhood” may have something to do with his opposition to DADT must have been written by someone with no knowledge of McCain’s war record. Countries (like Israel) with threatening neighbors will, for obvious reasons, spend less time sorting out those who join their militaries. They need bodies to fill their ranks. The United States isn’t there yet. The unspoken “no-brainer” conclusion by John in his article is that acceptance of the homosexual lifestyle makes perfect sense. It doesn’t, John. In my opinion, the homosexual lifestyle is unscriptural, unhealthy, and unpopular. It needs to be a private practice only. John seems to dispute the “unpopular” part but as far as I know, EVERY referendum on homosexual marriage has gone against it. In the open, people hesitate to voice opinions against the homosexual lifestyle because of the bullies and intolerant types in our midst. In private, the results have been unanimous. In this state, the legislators prevented a homosexual marriage referendum from even getting on the ballot. You shouldn’t wonder why. I suspect that even in an area where Smart cars are seen (imagine them in the ice ahead) and big spenders get re-elected in tough economic times (John Tierney), homosexual marriage would lose in a referendum for the reasons I’ve listed. John, the “no brains” approach works when something is very obvious. The need to get rid of DADT isn’t. 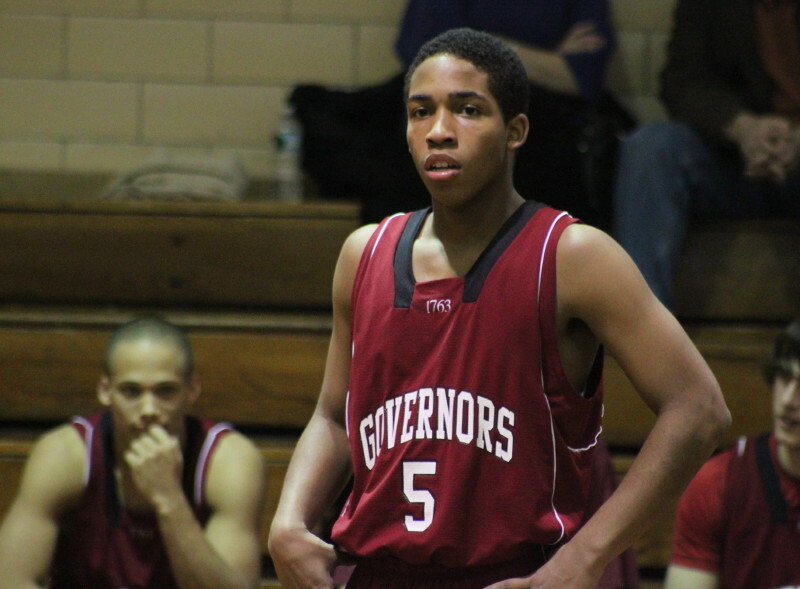 James Gomes paced Governor’s Academy with twenty points. 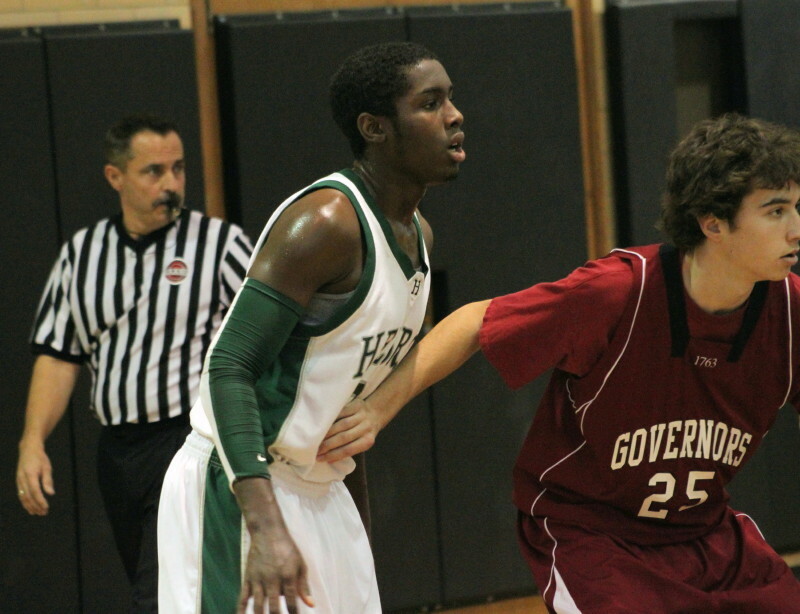 (Byfield) Governor’s Academy beat the daylights out of Hebron Academy, 85-27, at GA on Friday afternoon in a non-league game. 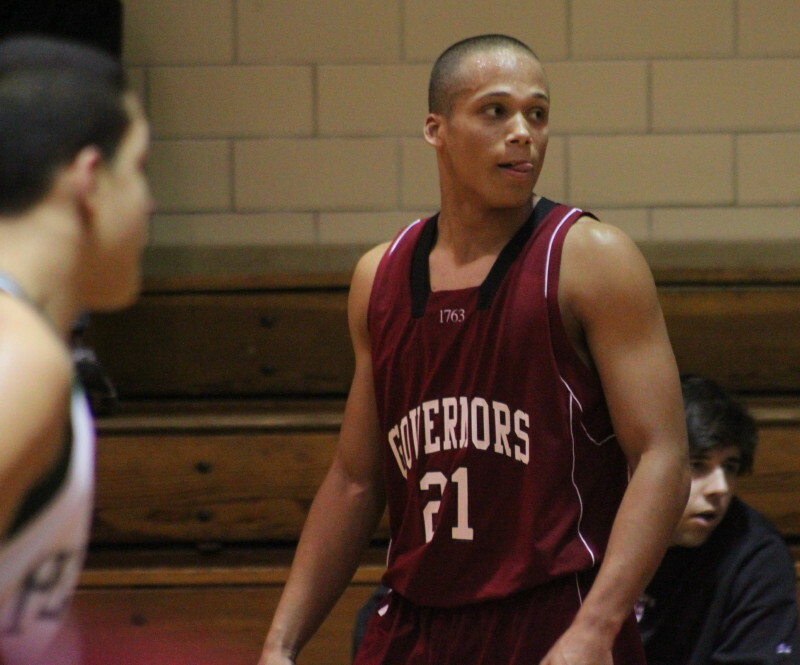 The Govs (2-2) had way too much firepower on both ends of the court for the visitors from Paris, Maine. The Govs’ defense was solid all game. Here sophomore Colin Smith (Ipswich MA) prevents Hebron’s Jerimee Moses from getting the ball. The Lumberjacks (2-2) committed 34 turnovers, many of which led to breakaway layups for the speedy Govs. On the other end, the Govs had second chance opportunities galore. They ended up with 41 more shots than Hebron did. The Govs ran points together often. 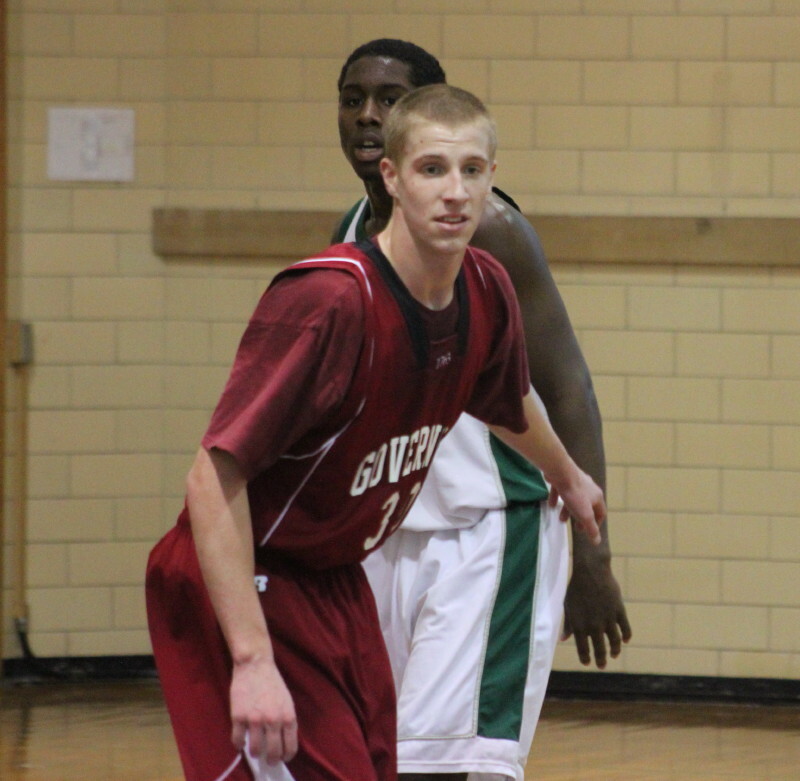 In the first half, Stephen Basden (Lynn MA) got them off to a 7-3 start. The next four minutes GA went on a 12-2 run as James Gomes (South Dennis MA) led with a three and a layup to give GA a 19-5 lead. 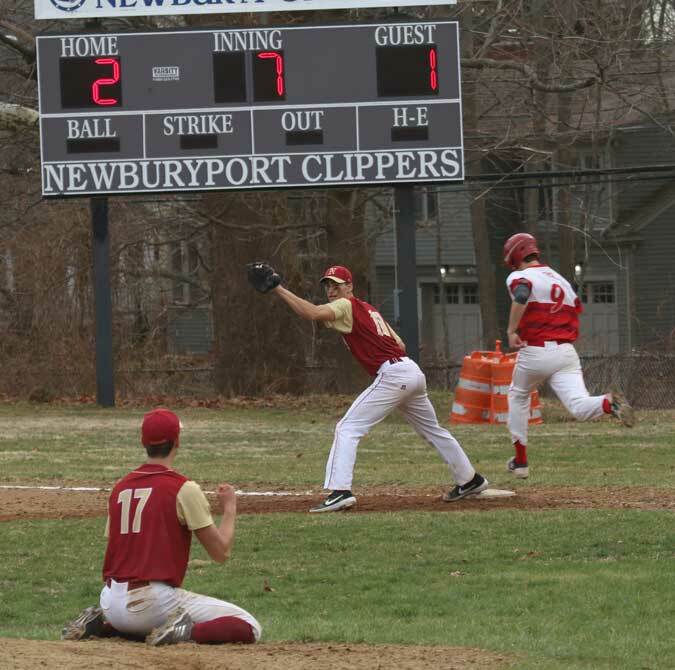 Things worsened for Hebron when freshman Kameron Nobles (Roxbury MA) tallied thirteen of GA’s nineteen straight in a run that stretched into the second half. That made it 52-18. For Hebron, the longer this game went the more they probably wished they’d jumped into the bus at halftime! With 13 minutes to go, a free throw by Hebron’s Jerimee Moses set the score at 57-25. Jerimee didn’t score again until there was a minute left. In the meantime GA collected an amazing 28 straight. Governor’s coach Mike Williams kept reminding his players to use the clock but he couldn’t slow the barrage much. Jerimee Moses held off by Grant O’Brien (North Andover MA). Jerimee earned some tight defense with his ability to get to the rim. He ended up with 16 points anyhow. The Govs had five players in double figures and plenty of playing-time minutes spread around their roster. GA feasted on the many layups their defense and quickness opened up for them. The long shot wasn’t there (3/17) and their free throw shooting (6/16) could haunt them in a future close game. 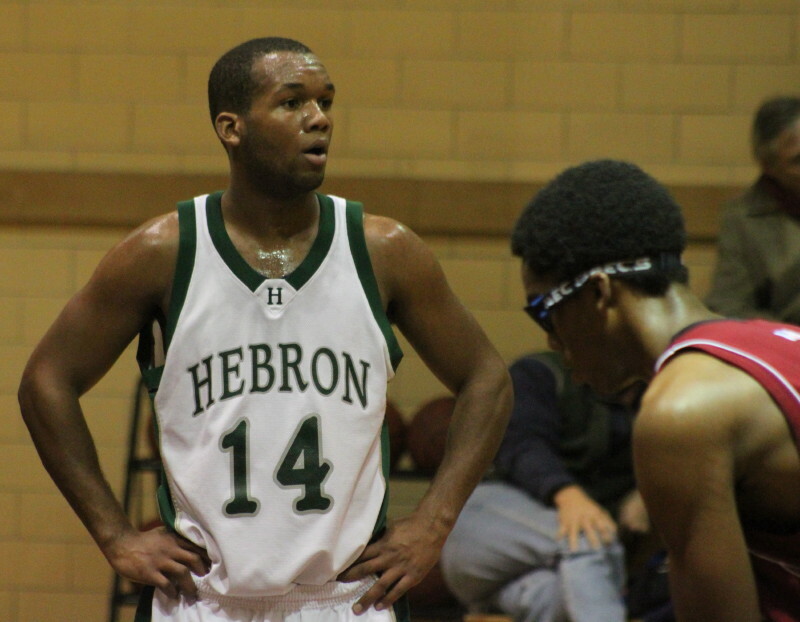 Hebron had only three players score. Besides Jerimee’s sixteen, Levi Lincoln had nine, and Christian Gumbs added two.